Versatile collection of the finest ceramic and porcelain tile products featuring stone looks, saltillos and patterned designs. Broad range of shapes and sizes for floors, walls and countertops. 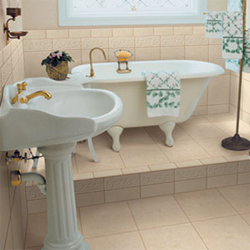 Choose from an extensive selection of tile, sundry and decorative trim options.